Strawberry Chic: A New Addition . . .
A New Addition . 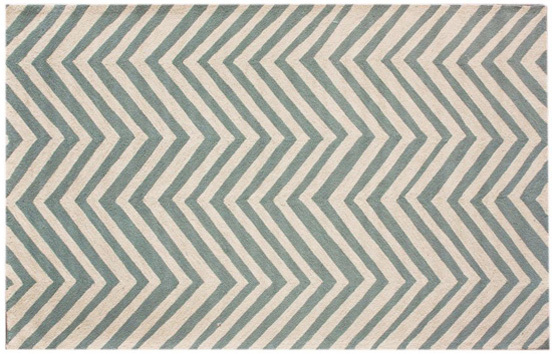 . .
We purchased a new area rug for our living room last week (on ebay) and I can't wait until it gets here! I have been wanting one since we moved in (a year ago now) and the search has been quite the headache! There are so many awesome rugs out there, but WOW they can be expensive! I found some less expensive ones like THIS, but most of them were that rough wool material. I wanted something that would be comfortable to sit on so our little guy could have a spot to play with his toys (he never sits on the hardwood floor to play). I love the pattern and color combination! Although, it is a little scary buying things online, so I hope it ends up being as nice as it looks! I'm crossing my fingers that it will arrive sometime next week, so look forward to some updated living room photos! Love this. It's going to be the perfect touch for your adorable house! I found a tutorial on a DIY Chevron rug! Do I dare? That's a really pretty rug... I love the look of chevron, it's elegant and lends well to many different decors. I hope it arrives looking fabulous! It looks great, can't wait to see pics when it arrives!